A quick pop into town for a few bits and a newspaper. Sadly the deli hadn’t managed to get some chestnut flour in stock and I couldn’t find any mochi flour (a different name for sweet rice flour made from glutinous rice). But I still had a good look round, no idea what half of the things are. 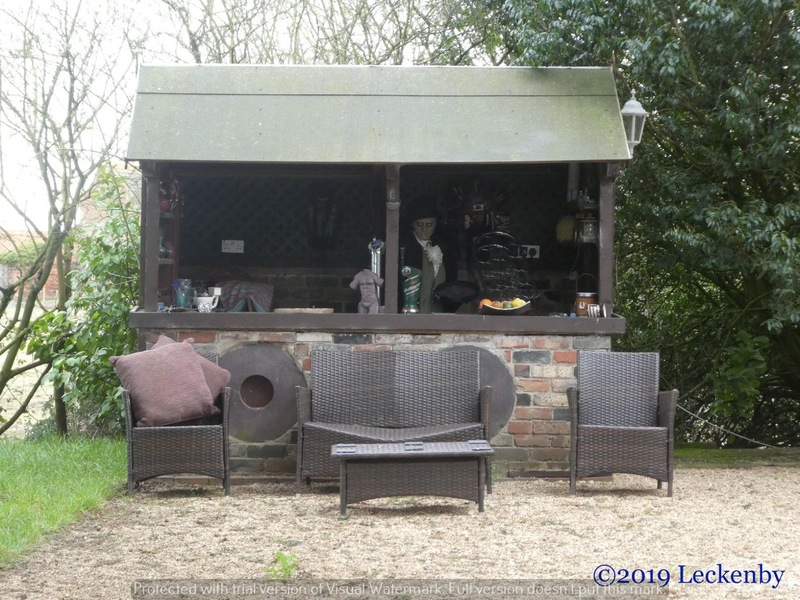 We disposed of rubbish and recycling and made ready to leave. Two chaps were loading supplies onto their widebeam, 48 cans of Carling. 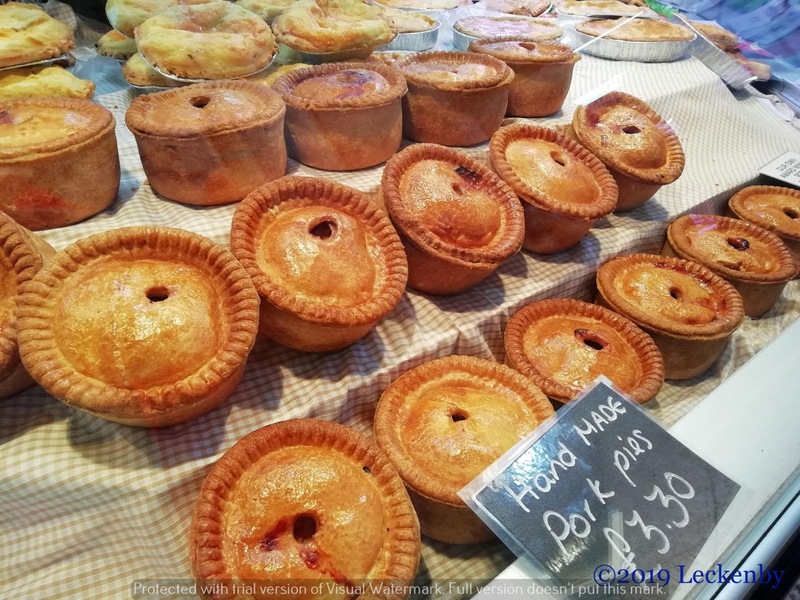 The main chap said they were heading to Selby today. It was just before 11am. 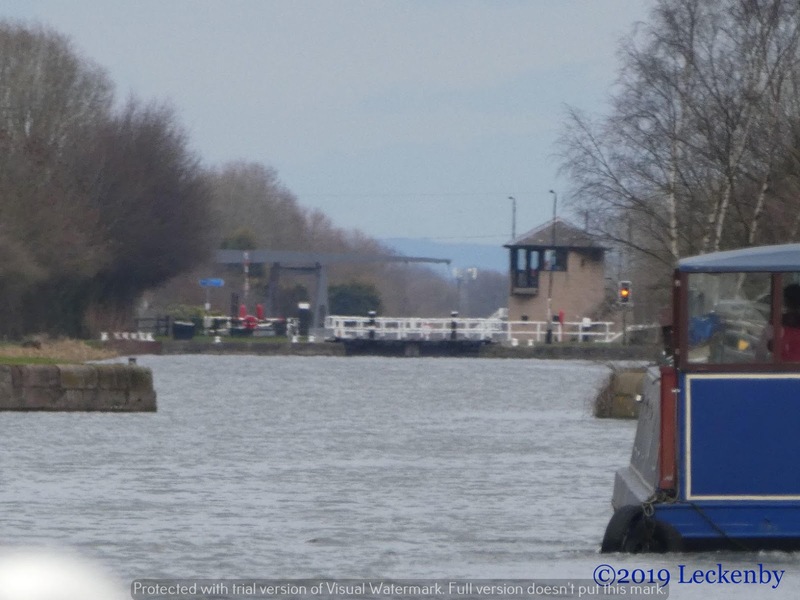 Canal plan has the journey at 12.5 hours, Waterway Routes at 11.5 hours. Quite a distance to cover and quite a lot of it would end up being in the dark. They were still getting sorted so we pushed off on our own. Heading out of Doncaster we wondered when we would see our next moving boat. 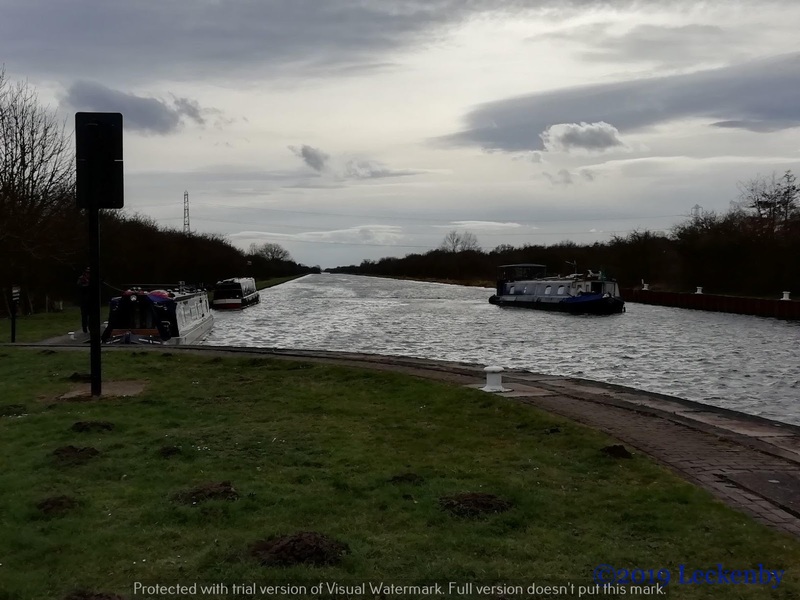 Maybe at Bramwith Junction, but two boats soon rounded a bend coming towards us, suspect they were returning to Strawberry Island. 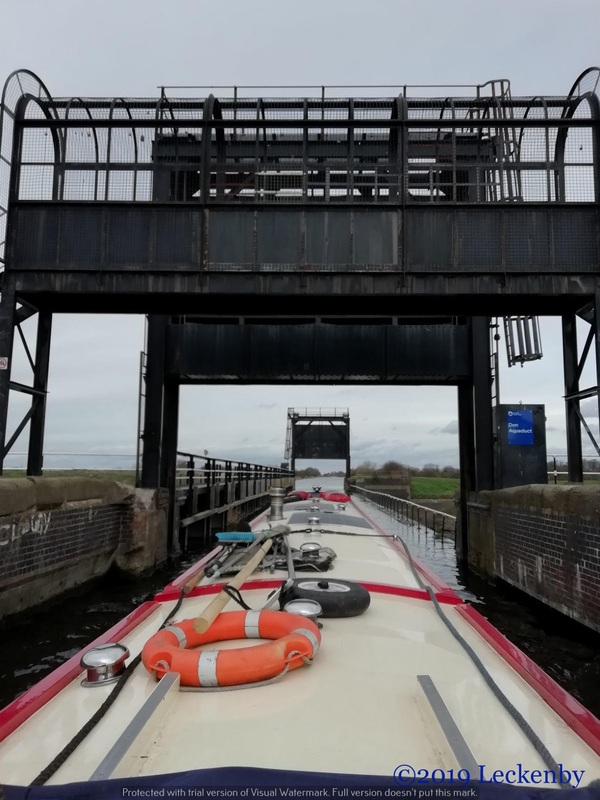 The lock light was on amber as we approached Long Sandall Lock, but a volunteer waved at us and headed up into the tower to operate the gates. It was set in our favour and we were soon on our way down. At Banby Dun Lift Bridge I pressed the buttons after waiting for a gap in traffic, these are infrequent and very short even on a Saturday. A boat was heading towards us, a touch too far away to hold the bridge, just as well as they were wanting water and pulled in. 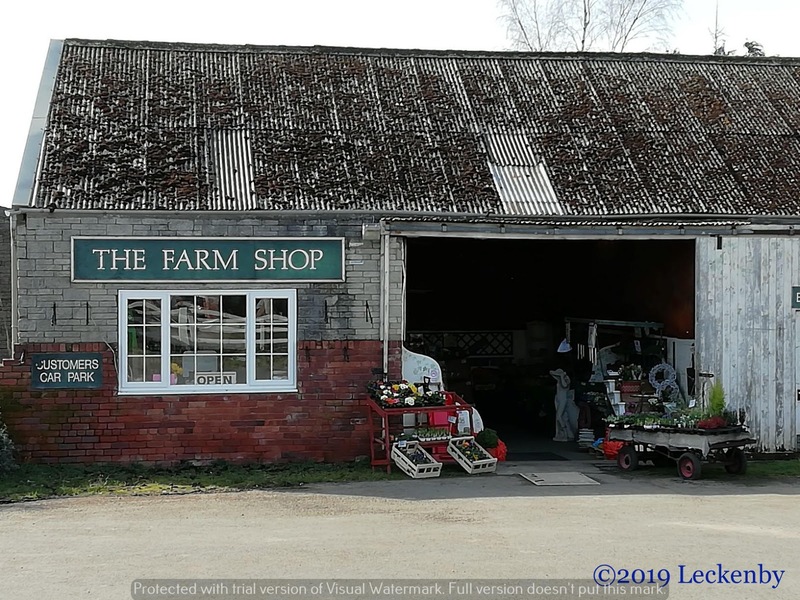 I left Mick filling with water and walked up to the Farm Shop, I’d forgotten to get a carrot for our lamb shanks. We’ve tried visiting the shop before but they were closed, luckily open today. 2 carrots and a nosy for future reference, they had some nice looking sausages in the freezer. When I got back Mick had made friends with the crew of WB Adam’s Ark a charity boat that we’ve seen about. Our tank was full so we could head off, pulling in after the next bridge for a quick lunch. This outside looked good. I knew they were wanting to get on, so I thought I’d make my exit as quick as possible and timed a jump up at the back doors for when the hatch opened. A quick get away would mean a quick return! But she had her hand in the way and my leap all of a sudden went into reverse thrust, I’d have to wait ages to go out. At Bramwith Junction we veered left, we’ve been this way several times but it’s all new water for Oleanna now for quite sometime, until Manchester most probably. The Don Doors hung in the air above the Don Aqueduct. Looking down to the river, it’s hard to imagine the river in flood and coming up to meet the level of the canal. It does at times and that is when the guillotine doors are shut preventing the canal from flooding. Now on the New Junction Canal, very straight but with plenty to keep you occupied. 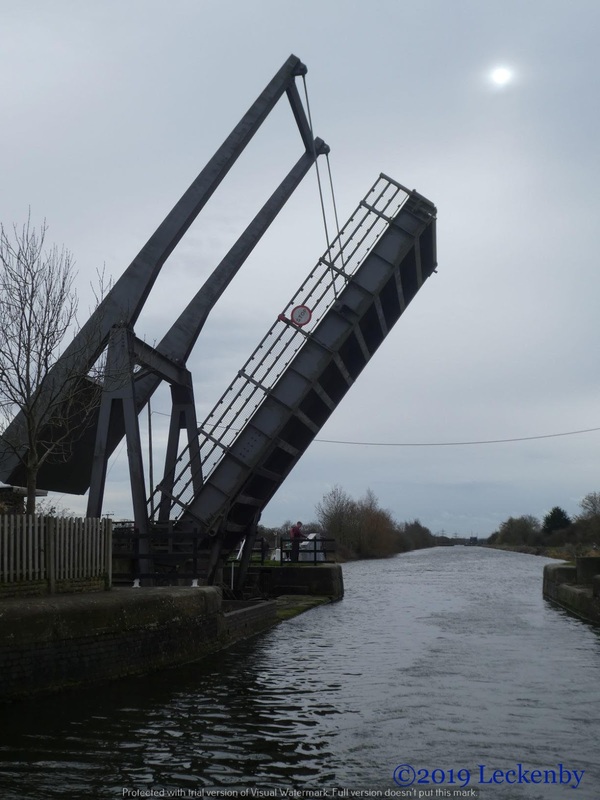 There are swing bridges, lift bridges and a lock to keep you busy. Our aim was to reach the far end of the canal today where we could sit out the weather, 5.5 miles of straightness. 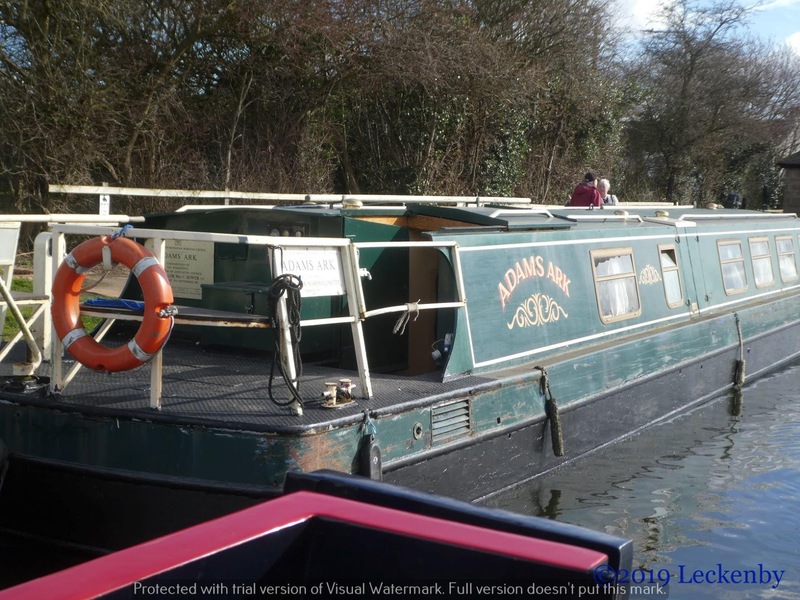 Ideally you want another boat with you to do the canal, taking it in turns to do the bridges, each boat leapfrogging the other to the next , speeding up your journey. 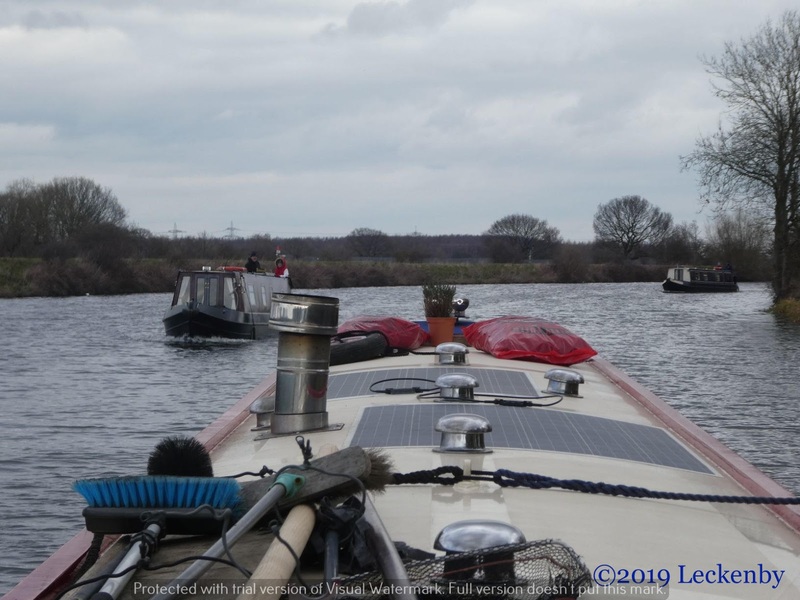 We looked back and could see a boat following, would they turn right at Bramwith, no they kept coming towards us. Hooray we had a bridge buddy. I hopped off at the first bridge and with my key of power swung it out of the way, Mick brought Oleanna through and then we waited for the boat to catch up to let it through. The boat turned out to be the widebeam from Doncaster. The main chap said he’d do the next bridge and ahead they went. His mate hopped off and went to lift the next bridge. Nothing happened, other than the main chap fought to keep hold of his boat on the bridge landing. In the end he tied her up and went to see what was wrong. It was his mates first ever bridge and he’d had difficulty, maybe not keeping his finger on the open button until it was fully opened. The bridge rose and we went ahead to do the next bridge. 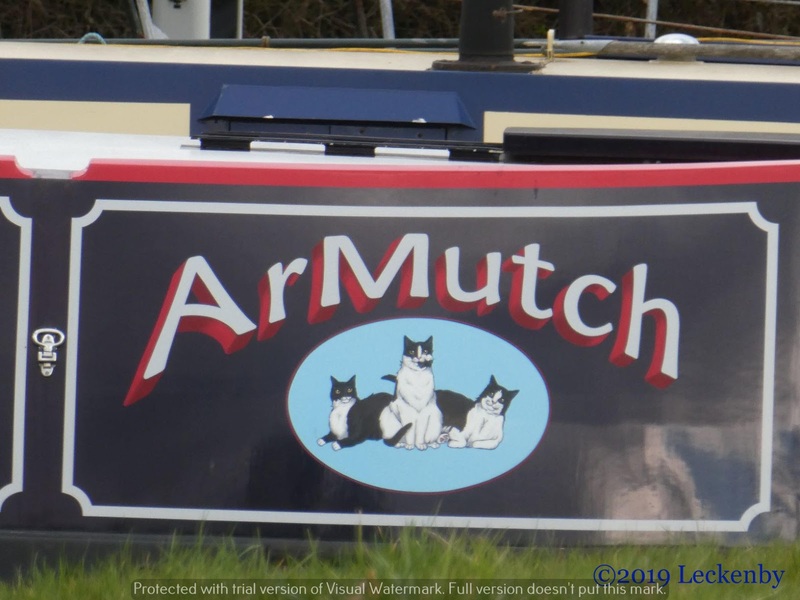 This of course meant that we were following as we approached Sykehouse Lock. The widebeam slowed down, the light on amber, they slowed down some more, still on amber. We pulled in before the lock and I went ahead knowing that the light would not suddenly change for us, there was nobody on duty. 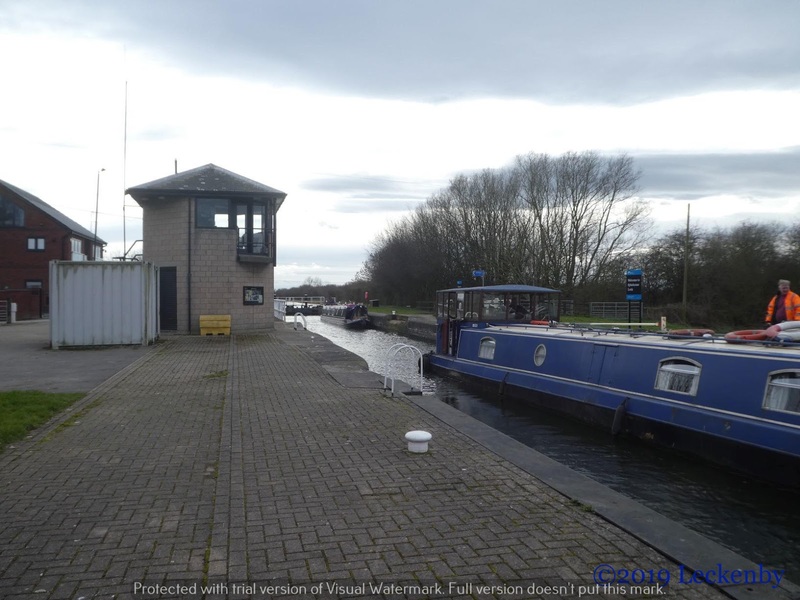 Admittedly we’ve been through here several times and there has always been a lock keeper but today we were on our own, or should I say I was on my own. Thankfully! 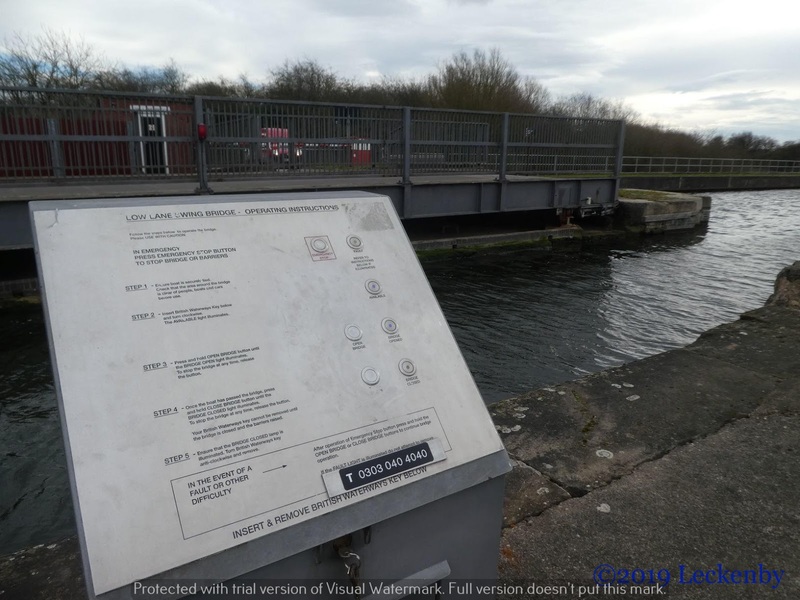 Sykehouse Lock has a swing bridge over the middle of it, so I knew it wouldn’t just be a case of putting my key into a panel, opening sluices and gates then walking to the other end to get us through. Time to read the instructions, which I tend to do anyway, apart from when I forget! 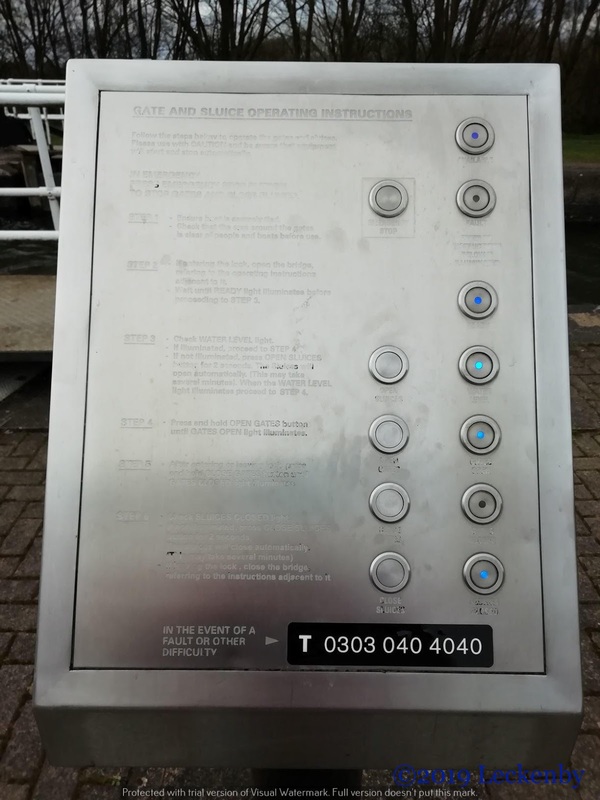 With nowhere to put a key on the panel at the top of the lock, the instructions told me to insert my key in a white box by the swing bridge and follow the instructions there. 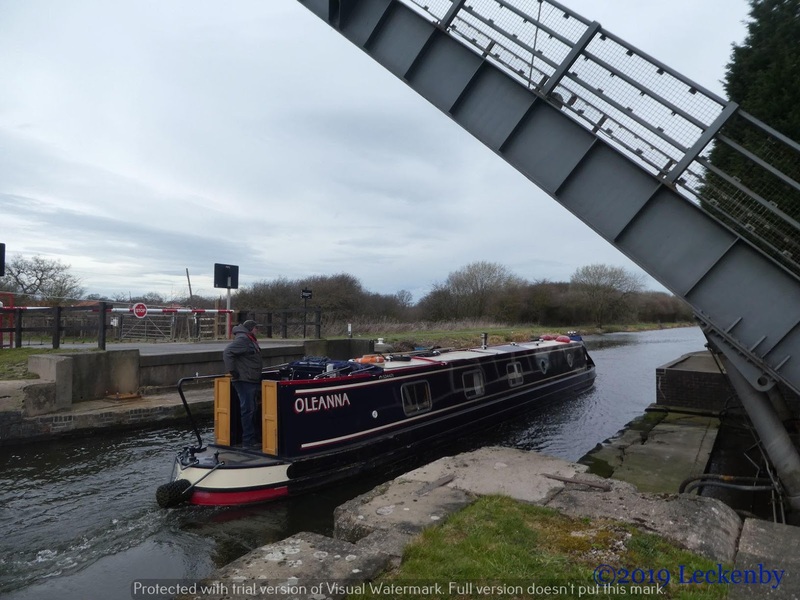 Mick waited to bring Oleanna into the lock as did both the chaps on the wide beam which was only tethered at it’s bow and swinging in the increasing wind across the cut. The bridge operates pretty much like a manual swing bridge with barriers on both sides, each movement unlocking the next bit of the process. With bridge swung out of the way I could open gates. The two chaps moved the wide beam into the lock, third or fourth can consumed from the 48. Main man asked with a slight slur what they had to do on their return journey. ‘Put your key in the white box and read the instructions’. The chap who was learning hopped off the widebeam and asked what I’d like him to do. Well nothing really, get back on your boat would be a good thing to do. 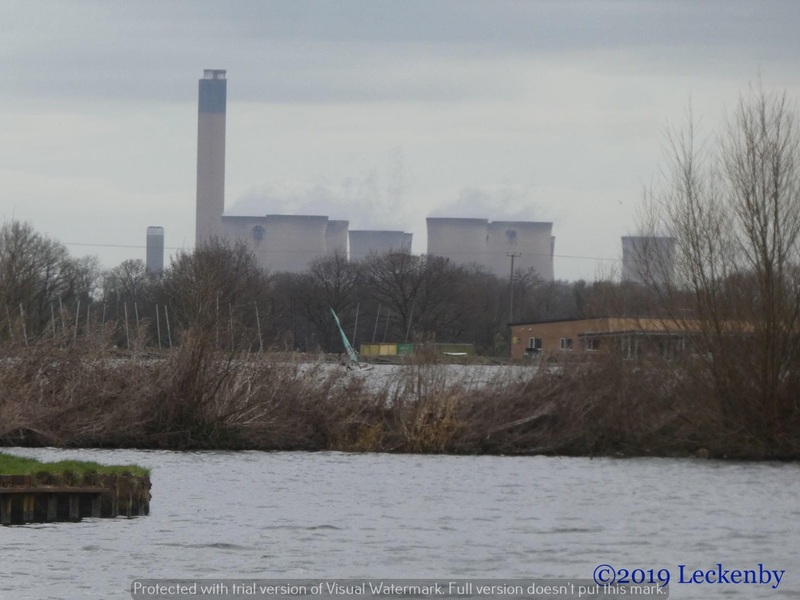 He crossed the gates and was instructed to hold onto a rope whilst main man put his boat in and out of gear as the water level dropped and his mate held the rope with no purpose. 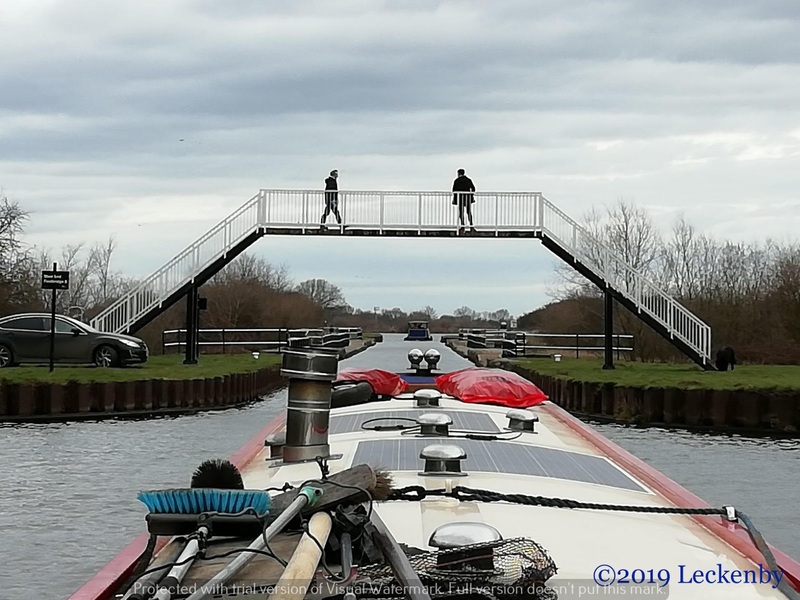 As I opened the gates rope holder was shouted at to drop the rope on the roof and climb down the ladder, whilst main man manoeuvred his boat towards the open gates and the side of the lock. This whole process made Mick and myself wince. 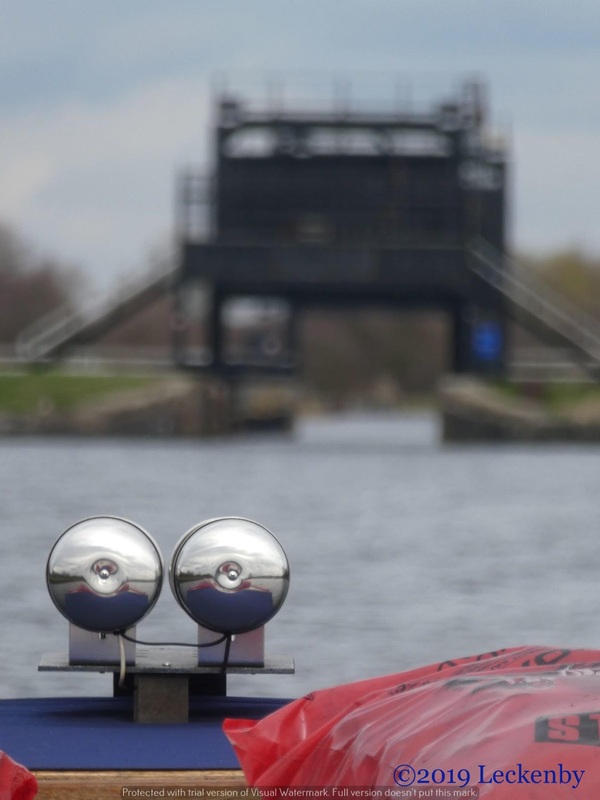 Gunnels on a widebeam are not much wider than those on a narrowboat, climbing down a ladder with a heavy boat moving towards you is risky at the best of times, add into that a few cans of lager, well. Back on board safely (thankfully) they headed to the next bridge whilst I closed up behind us all. Sluices, gates, bridge, barriers etc. The following and final bridge I operated and we both waved at the chaps as they passed through, nothing in return. Anytime! With them ahead of us we pootled on to our planned mooring. The wind now getting quite strong and cold. Eventually the widebeam turned left and disappeared out of view. Decision time, which side of the cut to moor on, which way round, hatch to the towpath? With the wind blowing at an angle behind us we pulled in on the starboard side where we could tie up well. Any waves would hit the stern and hopefully our bedroom would be quieter. Hopefully here we will also be out of the way of Exol Pride when it next comes past Monday or Tuesday. As the afternoon progressed the winds grew. Windsurfers on Southfield Reservoir zoomed from side to side. We were being buffeted against the side, so Mick added another line which helped. Tilly had an hour or so outside and then we all settled down for the storm to pass over. Just wonder how the widebeam fared and what time they managed to get to Selby! 2 locks, 11.21 miles, 2 aqueducts, 2 Don Doors, 3 swing bridges, 4 lift bridges, 34 held up, 5 other boats moving, 0 flour, 1 paper, 1 box of pins, 1 boat officially in the NORF, 15 sketches scanned, 1 tension square knitted, 1st 2 hours Prime Suspect watched, 48 cans 32 miles 7 locks and 1 newbie! 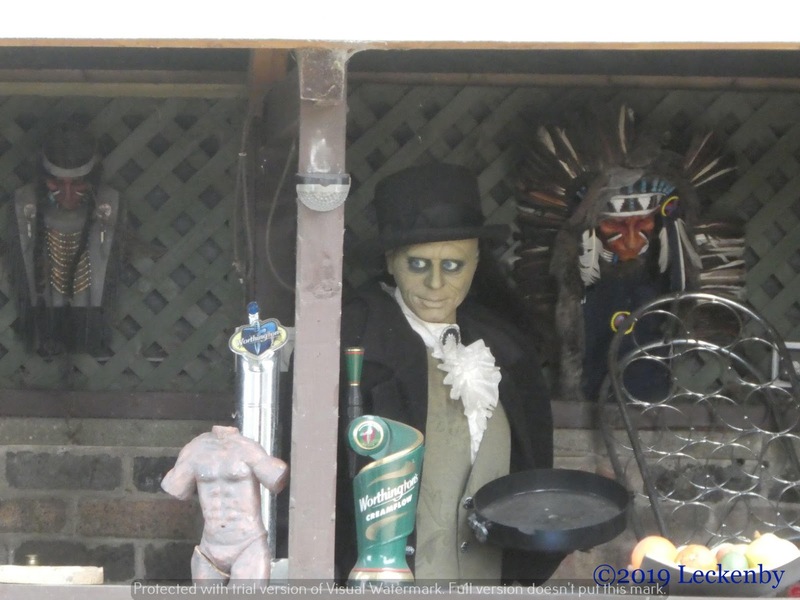 This post was brought to you from blogger, OLW still not working with photos. 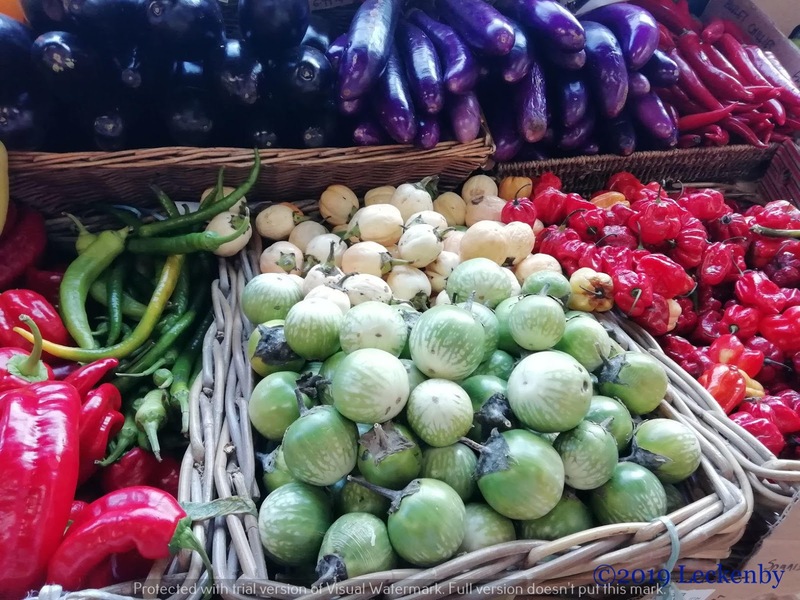 This entry was posted in Uncategorized on 4th Mar 2019 by pipandmick.